Few people are better qualified to discuss the in’s and out’s of small business websites than Justin Slagle. Justin started his career as an entrepreneur at age 18, selling vacuum cleaners door-to-door. Since then , Justin has since owned three businesses, including one of the largest computer training companies in the U.S. Justin has also become a fixture in Orange County’s small business community, mentoring new and veteran entrepreneurs on how to utilize technology and social media to grow revenue and cut expenses. What is the most overlooked or surprising aspect about small business websites and web use today? Having a website is much different than having a storefront. You don’t automatically have foot traffic walking by on day one. A good (or hopefully great) website takes time to build, and needs to be continually updated. What are the fundamentals for building and maintaining a successful website? Visibility. You want to enable your website to be found by all of the major search engines and remove any obstacles that may block your site. Relevancy. Your content—keywords, graphics, headers, titles, etc.—should be targeted to the end user that you have in mind. If you have multiple targets, then you can create additional pages that follow this same guideline. Also, staying relevant means updating your content. If your content starts to get old, your website will become less relevant. Popularity. Search engines today are looking for sites that other people think are the most relevant. Building inbound links, social media following, and off-site mentions will help your search engine rankings. Analysis. Understanding what is happening on your site using analytics is one of the most important things a small business owner can know. Otherwise, it becomes impossible to set goals to achieve more. Analytics also let you know how people found your website which will help you optimize it for more growth. There are several website analytics tools on the market today that will help capture and monitor this all-important data. 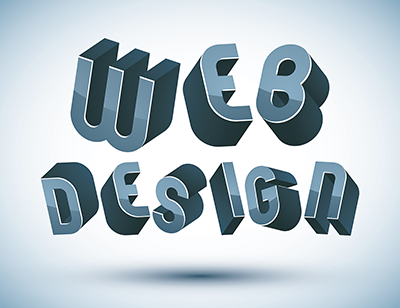 What are the first three steps everyone should follow when planning a new website? We’ve already touched on the first one—creating visibility and getting traffic to your website. Once they are there, you have to get them to take some kind of action. This may be getting them to fill out a form or buying some sort of loss leader product. Once you have some information from them, you can proceed to the final step—learning how to make money with your prospects and/or current customers. When you collect information about the people who have interest in your product or service, you can build a demand generation engine to sell them higher dollar items that help increase your profitability. A lot of systems and software can help with building a website. When and why does a small business owner need outside help? Just because you have a website doesn’t mean that people will be able to find your site. You must always keep Search Engine Optimization (SEO) in mind. I have seen many small businesses build beautiful websites, however the tools used were not SEO-friendly. Because of this, an entirely new site with an SEO-friendly platform had to be set up to achieve the desired visibility. That’s where a consultant with good SEO experience is critical. What design/user navigation features will help a small business e-commerce website stand out to visitors? Make sure your website is mobile friendly and works with every brand of web browser. In today’s world, more than 50% of users are browsing the web with tablets, phones and other types of mobile devices. If your website is not mobile friendly, then you could be missing out on half of the audience trying to view your website. Also, understand how landing pages work. Your website should be generating all kinds of leads, and you want to be able to collect as much information on your visitors as possible. Create great content and collect the user’s information before delivering the content to them. Similarly, what features tend to send visitors looking elsewhere? Do everything that you possibly can to not overwhelm your web visitor. Everyone has been to a website with an overload of information. When you try to cram too much information on a page, it makes the visitor look for information somewhere else. Why is a good domain name so critical to SEO visibility? If I have a real estate business and I use the domain www.JustinSlagle.com, it will not tell the search engine anything about what I do. However, I choose the domain www.OrangeCountyRealEstate.com, then the search engine knows that the website has something to do with real estate in Orange County. Then when you add subpages, make sure that these pages also have good names. A good subpage domain might be www.OrangeCountyRealEstate.com/Single-Family-Home-Irvine-California.html. This would tell the search engine that this site is about a single family home in Irvine, Cal. What role do links play in enhancing SEO visibility? To achieve prominent rankings for competitive keywords and phrases, web pages need to be popular as well as relevant. This is achieved by increasing exposure off-site, for the page as well as for the specific terms that are most important. Popularity can be measured by the quantity and quality of links pointing to a website or page. Link building can include things such as sharing digital content, social networking, partner companies, directory inclusions, guest blogging, and many others. Just keep in mind that link building is a long-term activity. It’s best to create great content that people want to link to and share naturally. Those links will count the most! E-businesses can’t please everyone, of course, but are there any themes or content attributes that these websites should avoid? This really depends on the business. If your target audience would want to see you promoting religious holiday, for example, then you should probably promote it. If you’re trying to remain very general, but still want to promote the holiday, you may be able to create a page that isn’t promoted to everyone. Doing this may help you with searches where someone is looking for the religious holiday, but it is not something that can easily be found by someone on your home page. What are the most important factors for evaluating prospective website hosting services? A hosting company should be able to grow with you. Many of the new cloud services allow you to pay on consumption, so you don’t have pay for a lot of traffic when your site is new and traffic is just starting to build. Be aware that a website can very popular and outgrow the hosting agreement, causing it to go down. Make sure that you know what to do or who to call for help if this happens. What are the trade-offs for using sites such as Ebay and Etsy for a small business’s online store? There are several great sites that you can list your product on, and of course there are fees involved. I like to think of Ebay as a franchisor. They charge you a fee when you sell your items, but they will do a lot of the work for you to market your product. If you can make enough margin on your product to support paying these fees, then I recommend taking full advantage of the platform. It’s all about the ROI- Return on Investment. If you can achieve a high ROI, then keep doing it. What are the current security requirements for protecting consumer information on an e-commerce site? Cyber-security is a huge deal. Recently we have seen Target and Home Depot get in a lot of trouble because of cyber-attacks. Many times when this happens to a small business, the business does not survive. Often, it can even bankrupt the owner. If you take credit cards online (or collect any type of personally identifiable information) make sure you have a secure database, and that the cards are encrypted. Also make sure you put a plan together that addresses cyber-attacks. The FCC has a great website that is easy to use and can start you down the right path. You began your entrepreneurial career at age 18. If you could go back as a SCORE mentor and pass along some advice to your 18-year-old self, what would it be? I would encourage myself to start learning about the power of influence. When I was just starting out knocking on one door at a time, I never thought it was possible to scale my approach. Businesses are drawn to social media today because of the influence they have. Partnering with associations and other business influencer organizations can be some of the most rewarding efforts. Understanding how to market your business on the web is the ultimate way to influence that I wish I understood early on in my career. Luckily for me it’s not too late! What emerging internet/e-commerce trends should small business owners be watching? Social media. These are avenues that consumers are opting into. Not only do you have the ability to participate, but they also make great places to advertise. And because most people tell the social media tools everything about themselves, the advertiser can get very specific on their target audience. Social media is also a great place to listen to what customers and prospects are saying about your business. Knowing what customers are saying and thinking about your company can help you make better business decisions moving forward.